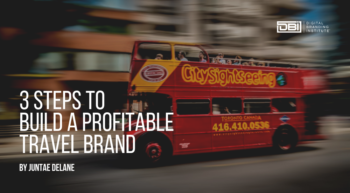 Building a profitable travel brand can do wonders for your business. The fact of the matter is, most travel purchases are made online. So, if you don’t have a digital travel brand, your business will miss out on those customers. To make sure that you get the most out of your brand, you need to follow these three steps. Defining your travel brand is about creating a cleat and simple message. You have to showcase how you’re uniquely positioned to serve your audience. Remember, if you’re speaking to everyone, you’re speaking to no one. Branding is about relating to and reaching your customers on a genuine human level. So, you won’t be able to do this with a generic or poorly-thought-out brand. This is so important to grasp. When asked: what do you do? You need to have a central focus. You can’t just go on about your services and offerings. This doesn’t tell your target audience who you are. Also, if you give them too much information, they might get confused. If your target audience is confused, then they will be unlikely to want to work with you. They will probably choose the services of your competitors who have been more transparent with their objectives. Creating an elevator pitch will help you define your digital brand. This will make it so that your target audience can quickly understand exactly who you are and what you offer. Your elevator pitch will be referenced everywhere online: social media, website, review sites, and more. A solid elevator pitch will allow you to distill down to the purest form, precisely who you are, and what you offer. That focus can help to set you apart from all the competition. Understanding what you want from your digital brand will make the process of digital branding so much easier. As a travel brand, you may need to customize your pitch depending on your audience and the location you’re discussing. When pitching for a specific place, its best to focus on six main topics for the site. For example, when pitching about a vacation to the Bahamas, you might focus on adventure, families, local culture, relaxation, events, and romance. This will let people know right away what this trip is about, just from your quick pitch. It’s essential to have a brand slogan in the digital space. While people often research products and services online, that research is not that comprehensive. There is simply so much information online and so many choices to make in a day that almost no one has spare days and days to research their every choice. This is why you need a captivating brand slogan. It needs to stand out when someone is doing quick research. When you create your brand slogan, you want to be unique. This is just a few words that people will associate with you that will define your brand. Slogans like ‘Say yes to new adventures,’ ‘Don’t be a tourist, be a traveler,’ ‘The world is yours,’ and ‘Keep calm and travel on’ are fun, quick blurbs that immediately give people a mental picture of what the agency is about. Your slogan should stand apart from any other business you’re competing against. People almost always look up businesses online before deciding to work with or purchase from them. This means that in most cases, your target audience will interact with your digital brand before they associate with your physical brand. So how do you make your small business brand ready for digital searches? Your home base is a critical component of your digital brand. It must be responsive, user-friendly, aesthetically pleasing, and accurate. This is software you can use to build your site. Some of the more popular web builders that you might have heard of are WordPress, Wix, Squarespace, and also Weebly. If you want to succeed in travel branding, get serious about building your email list. Your email list is one of the most valuable assets for your brand because it allows you to initiate contact with your followers. Having access to your customer’s email means that you can send them information about trips they’ve looked at, and tailor a travel plan just for them. This is something that will generate more business for your brand. Being relatable to your target audience will separate you from the competition. So, engage with people on social media the same way you would engage in the real world. When first starting out on social media, it is important to remember to only focus on one site. Having too many accounts can be overwhelming. Also, if you are spread too thin, you won’t be able to give any account the attention it needs to thrive. Instagram, for example, is an excellent starting option for a travel brand. This social media format is perfect for sharing photos of the great travel destinations you offer trips to. When you post on Instagram for your travel brand, remember these six tips. Share the beautiful pictures of exotic vacations with personal experiences, either yours or other people who’ve gone on these trips themselves. When people come to your profile, they’re usually coming because they need answers and they need them now. So, you need to be available to help with any questions your potential customers might have and don’t leave them hanging. This may mean offering a better deal to an Instagram influencer than you might for other customers with the understanding that they will post about their trip and reference your brand. Or you can just connect with people who’ve used you before and use them as average everyday influencers also. Instagram also offers ads with ‘shop now’ links that can make it easy to turn your viewers into customers. Instagram stories can allow you to share your journey with your viewers in a dynamic way. You can offer your followers real-time adventures and sneak peeks into the excellent trips you offer. Tell your followers the value of following your travel brand on Instagram. Use Instagram as a way to give them mini vacations right on their phones. This is a part of your travel brand that will remain a part of your day to day work. Sometimes it can be in your best interest to find digital branding services to help manage this work for you. Many travel blogs are already floating around on the internet that you can get involved in. These blogs have the great benefit of already having an audience that you can access. Writing guest posts on other blogs with different or larger audiences will help you gain visibility online and build a digital presence. 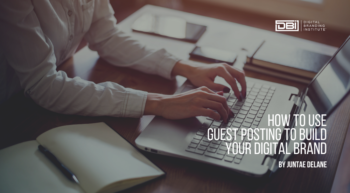 When picking a place to guest blog, you’ll want to check the guidelines of the blogger to see if they accept guest posts. If everything lines up then you can contact them and share why you’d be an excellent fit for their blog. When going through the process of finding the right blog to guest post on, first make a list of five blogs that you’d be willing to work with and reach out to them. The odds are pretty good that one will be interested in your contributions, and if your pitch is well thought out, you might just get a chance to write for all of them too. Trying to create an eBook every month or coming up with new topics for blog posts daily is very difficult. However, you can make this process easier by repurposing content. You can take your most popular blog post about a particular topic and turn it into an eBook. Then you can repurpose the eBook as a SlideShare presentation. Or you can take that same eBook and turn it into a month’s worth of blog posts. Or you can turn that blog post into an infographic, podcast, or video. This takes the burden of constant content creation off of your shoulders and gives people options on how they want to consume your content. Your travel brand is the quickest way to make a connection with your potential customers. This might just be their only way to feel like they know you in a world where they can make all of their purchases without ever meeting your face to face. Therefore, this means that you will have to be diligent in your travel brand creation and management process to make it profitable. What vacations would you like to plan?